irrationalsolutions wrote: i would have to say TP. or bug spray if i had to pick just one, it would be hard. Would that be 3 sheets or three rolls of TP, IR! Maybe he uses one of those Coleman electronic mosquito repellants. They are less than 8 ounces unless he is referring to three of them. but they are not effective on all mosquitos. I bought some of those after getting drilled one october morning on stand. They got me in the only area not covered by my facemask or hat. My brother in law laughed his tail off when I got back to camp for lunch with a solid red line of bumps across my forehead. How many fricken matches do you carry to equal 8oz?..Do ya think ya got enough? Irrational solutions is on the right track. concentrate on in"front" of the rabbit, and follow through with you bow arm.
. I admit this isnt as cool as some the tools you guys have been guessing at, but lately i have seen a lot of threads with people discussing bug solutions. 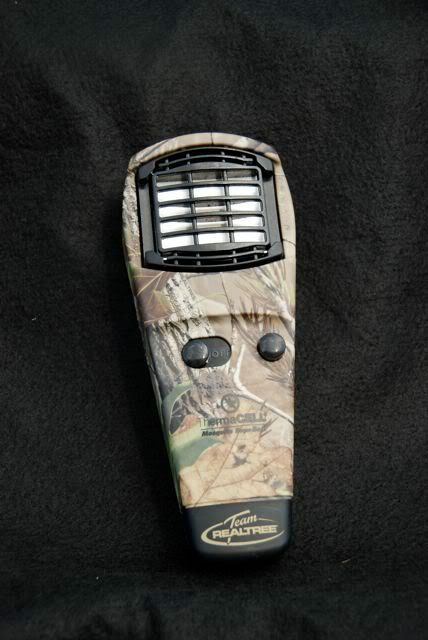 This thing is all about the quality of the sit, whether you are hunting, cooking, or woodstove testing. I live in what is widely accpted as one of the buggiest places on earth. I am almost sure that this poll was done on TRADGANG.COM which is a site for traditional bowhunters. They are a group that I think could easily jive with this crew. There is a huge amount of MYOG, bushcraft, and everyone is always tweeking their setups and trying to improve their gear. I say this because I am trying to convey how incredibly picky, detail oriented and thorough this group is in their appreciation of gear. It can ruin certain plastic materials and expensive high tech fabrics. It stinks. If a human can smell it from 50 ft away a hog sure can. I have done almost no summertime backpacking in recent years. Its just to ____ hot. But every night just to complete my chores around the house and do a burn or two on my stoves, I have to apply deet to every exposed area on my body. I dont mind really, but then I have to come in and read to my kids for an hour and it gets all over their beds. I always miss a spot and the little buggers find it. I know it may seem "contraption-like". I was a HUGE skeptic. but It has never failed me in hundreds and hundreds of hunts, excursions or just sitting around outside. If I am camping and it isnt freezing, I will always have some mesh protection for sleeping. I just happen to really love cooking, mapreading and enjoying the campsite too. If you arent ready to get in your bivy or tent, You need some skeeter protection for that hanging out time. If you ever sit around cursing the mosquitos or have to use a lot of deet just to be able to function in shorts, I urge you to at least try one. they are cheap, but accept no substitute. I havent tried any of the new little coleman fan thingies, but if someone says it doesnt work then it isnt the same as a themacell. I have always wanted to get a review from someone dealing with those northern mosquitos like the ALaskan state bird. YOu can get them at Wallyworld or any reputable outdoor outfitter. Read some reviews and get you one for when its real buggy. I guarantee you will not regret your purchase. one butane cartridge last 12 hours and each pad about 4 hours and works in about a 10-15 ft radius. Not great for windy conditions, but then the bugs arent so bad then either. I have kidded with my buddies for a few years now that real fear is sitting in the swamp 30 minutes before dark and having your thermacell start sputtering. http://www.katmai.com/lodges.html ...I built a lot of this...back in the mid 80s..
here are about 400 or so reviews including several from Alaska. There a few low ratings but very few. I dont use it for anything except sitting in one place for a period of time long enough for bugs to really hone in on your scent. like hunting or chilling. I have a week long kayaking trip to the Ga coast coming up in October. No-seeums and mosquitos are in actual clouds around you until maybe 5 minutes after you crank up you thermacell. then they are gone. I have recently rediscovered my old mountain bike buddy in eagle river, AK and I am trying to arrange some adventure time up there. Maybe ill get to try it out myself. Most of the time I take my binoculars with me when I'm soft shoeing thru the timber. I use a harness http://www.mybinocularharness.com/ that makes carrying/using a breeze. Mine focus at 4' and out, great for plant/butterfly identification and animal/bird watching. I can see how it would make your hunting experience an enjoyable one even if you don't see any game that you're after. It's a great mystery tool, thanks for sharing that one with us.